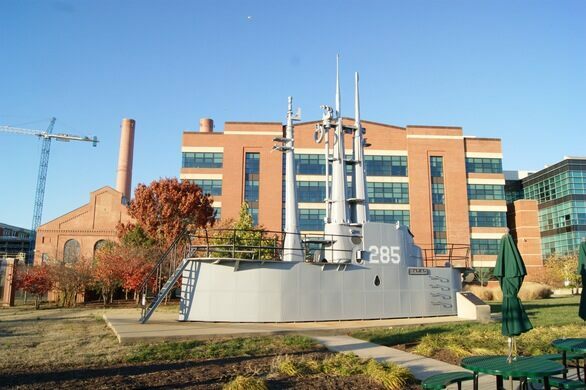 It comes as no surprise that security is tight at the Washington Navy Yard, but few visitors expect to have to sneak past the periscope of a World War II-era attack submarine. The boomer is positioned between a public lot and restricted base parking, looking as if it’s ready to a fire off a salvo of torpedoes at unsuspecting broadsides. Luckily the vintage conning tower is anchored to a concrete pad. 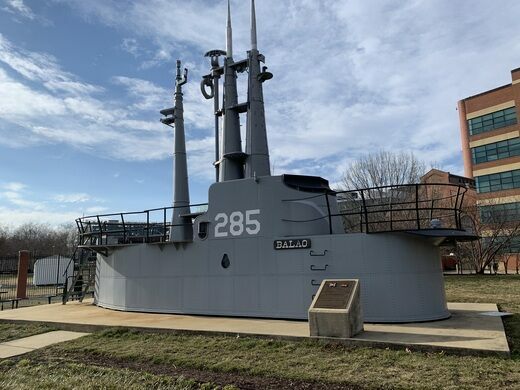 The decapitated conning tower at the Navy Yard originally sat atop the USS Balao. 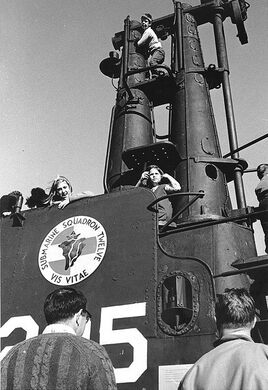 Named after a species of little fishies, the underwater boat had a respectable but not quite awe-inspiring tour of duty in the Second World War. It’s real claim to fame came when Balao starred in the popular war comedy Operation Petticoat alongside Cary Grant. 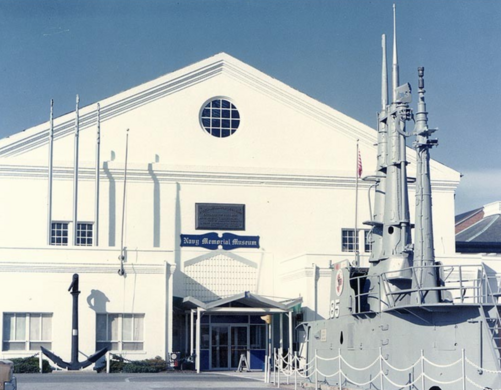 The Balao was retired in the 1960s and sunk off the coast of Florida for target practice. 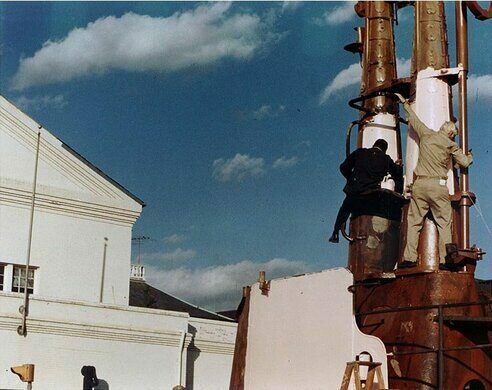 But not before nostalgic seamen sawed off the conning tower and had it shipped to Washington. The structure was humorously painted pink for a spell, but the powers to be deep-sixed the idea and soon had it repainted standard Navy Gray. 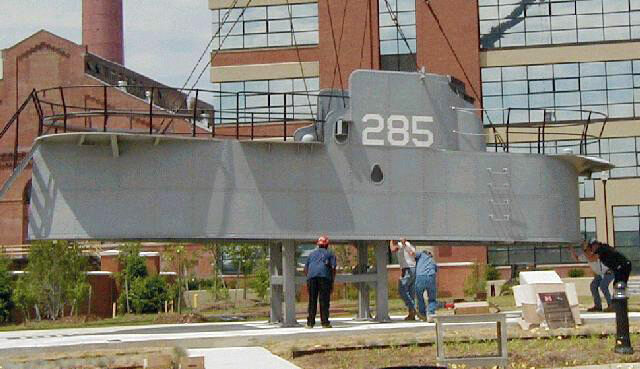 Only personnel with access to the Washington Navy Yard can get up close to the conning tower. However, anyone can view it through the fence from the Anacostia Riverwalk Trail. This massive swimming pool is the high tech home to the human-powered submarine races.